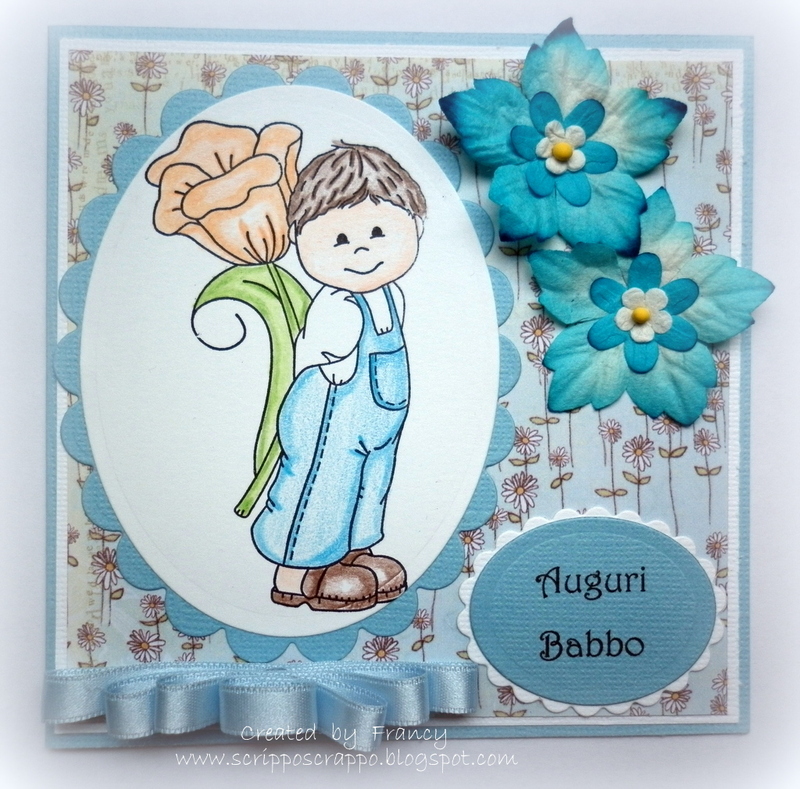 Hello everyone, today I show you a card that I made for the father's day (in Italy it's the 19th march). For this card I used a sweet Bildmalarna Stamp.You can find the Bildmalarna stamp on the Bizzy Becs Online store, this stamps are at 10% off. Don't forgot to partecipe the March challenge, the theme is "Anything Goes" so you can participate in any creation and for prize.........a MEMORY BOX DIE...( a surprise ). This is lovely and love the way you have done the ribbon, and the image is sooo cute!